Enoteca Properzio’s objective has always been to offer its customers the best proposals of the wine sector, with particular attention to fine collectible wines. Fine bottles of red, white, and rosé, that are the fruit of a careful selection of vines, are available on our online wine shop. You will be able to appreciate unique and rare bottles of the best brands on the market, and find the most exclusive wines produced by Giacomo Conterno, Giuseppe Quintarelli, the Dell'Ornellaia estate, Romano Levi, Vietti, Avignonesi, Elio Altare, Gaja, Marchesi De' Frescobaldi, Soldera, Mascarello, Tenuta San Guido and other exceptional producers. Are you looking for a Barbaresco reserve from 1989? You will find it on Enoteca Properzio. Would you like three bottles of Sperss Gaja from 1997 in an exclusive box ? Our site has what you are looking for. 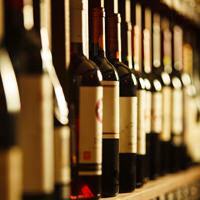 Enoteca Properzio offers fine wines that are ideal for the collections of those who love to have in their cellars the best that one could wish for. Let yourself be seduced by the Barolo Riserva Monfortino from the 2006 harvest of the Giacomo Conterno winery. This wine is of an excellent vintage and becomes more precious as it ages. Otherwise, Masseto Tenuta Dell'Ornellaia vintage 2007 will win you over, also thanks to the collector's box in which the bottle is placed. Enoteca Properzio also has the historic, commemorative bottle of Marchesi De 'Frescobaldi winery’s 25th anniversary. This product was created in collaboration with master Michelangelo Pistoletto and is a limited edition consisting of only 100 bottles that are signed and numbered. If you are a collector, you will surely appreciate this 2010 bottle. 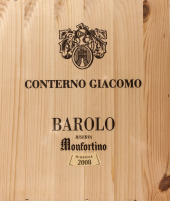 Connoisseurs and true wine connoisseurs will be amazed to see a bottle of Barolo Monfortino Riserva that has been produced by Giacomo Conterno in 2010. Roberto Parker has given this wine the highest marks of 100 %. Therefore, it is certain that Enoteca Properzio’s bottles of wine are selected in detail to enrich your collection with fine Italian and high-class wines. Barolo Cascina Francia Conterno 2003 1.5 lt.
Barolo Monfortino Riserva Conterno 2008 0.75 lt.
Chateau Margaux 2011 0.75 lt.
Barolo Dagromis Gaja 2010 0.75 lt.
Solaia Antinori 2011 0.75 lt.
Masseto Tenuta dell'ornellaia 2007 3 Lt.
Barolo Monfortino Riserva Conterno 2010 3 lt.
Petrus 2011 Pomerol 0.75 lt.
Valpolicella Superiore Dal Forno Romano 2007 0.75 lt.
Barolo Monfortino Riserva Conterno 2002 0.75 lt.
Sassicaia Tenuta San Guido 2012 3 lt.
Barolo Riserva Monfortino G. Conterno 2006 3 lt.
Masseto Tenuta dell'Ornellaia 2011 0.75 lt.
Vega Sicilia Unico 2002 0.75 Lt.
Barolo Ravera Vietti 2010 0.75 lt.
Gaia & Rey Gaja 2015 0.75 lt.